← Apollo Wins Gold in New York! Would you like to travel in Italy and deepen your appreciation of its culinary delights? Tour With Us creates itineraries focused on authentic Italian food made from fresh ingredients, and highlighting the diversity of local cuisines and the Slow Food Movement. 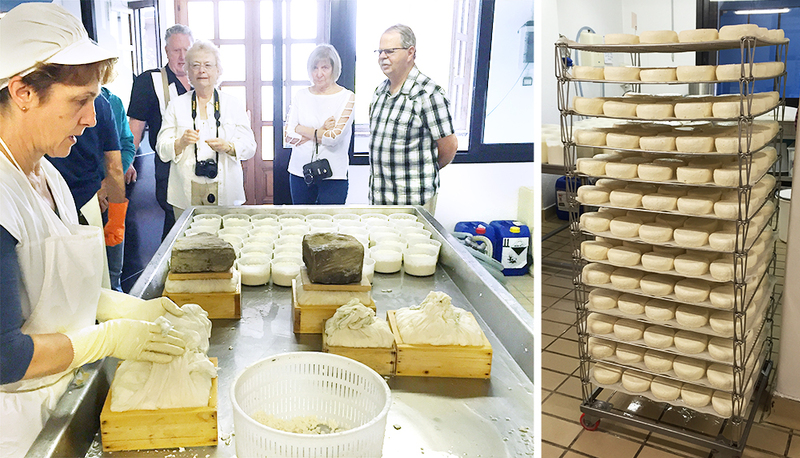 Their tours offer hands-on cooking classes, cheese and chocolate making workshops, and include time for sightseeing, shopping, wine and olive oil tastings, and relaxation. Stefano Landini, owner of Tour With Us and a friend of Apollo Olive Oil, grew up in Italy and has personal connections with the restaurant owners, cheesemakers, wine masters, and family farmers that you will meet along the way. He and his wife, Perla, will host you for your journey, taking care of the details so that you’re free to enjoy la dolce vita! Travel light! Tour With Us offers a maximum tour size of 6 people, to allow flexibility and foster camaraderie. Sign up for an existing tour or put together your own group of friends. Bypassing crowded tourists’ destinations, you’ll discover Italy’s hidden gems, like in the picture below! Visit www.tour-withus.com for more detailed information.